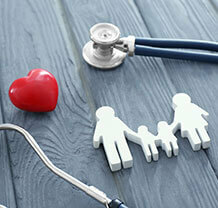 Family Medicine Hospital and Clinic | Family Doctor in Dubai | Emirates Hospital Jumeirah UAE. Emirates Hospital provides a consistent, high-level of quality care to our patients, always putting patient needs at the centre of what we do. Through our vast medical services, expert staff, progressive medical technology and country-wide network facilities, we provide individualized care to patients in our Family Medicine department. Family Medicine is crucial to healthcare because it is aimed at the individual and every case is different. Our qualified teams in Family Medicine play a key role in the prevention, diagnosis and treatment of multiple diseases in adults.